Walking a dog is a routine that changes with the weather and season but often leads to unfamiliar territory. So, one day we found ourselves in a field with pheasant cover. All ready to be resown, it was there I found a spoon shaped dried turnip shell. In a series of drawings I explored the linear and textural qualities of the shell then developed the three dimensional aspect through paper sculpture. 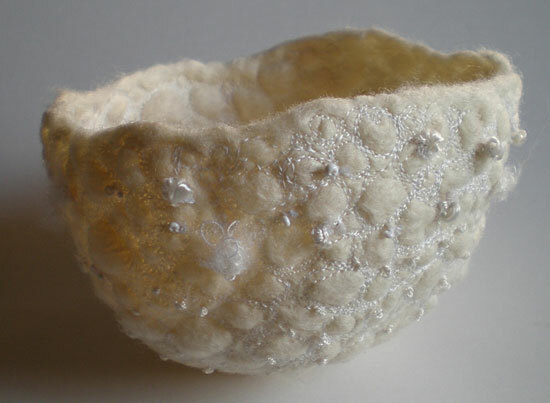 It seemed a natural progression from there to textile receptacles hence felt bowls. 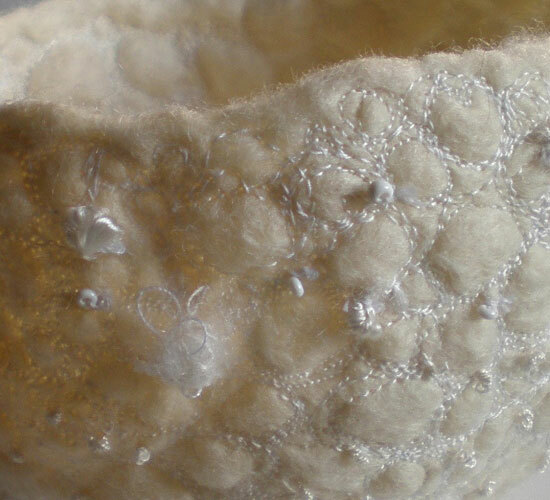 An extension might be a combination of stiffened fabric and stitch to emulate the dried quality of the turnip shell.